BIG BLUE WAVE: My Body My Choice: Baloney! 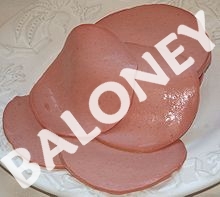 My Body My Choice: Baloney! Feminists treat the concept of bodily autonomy as if it were absolute and an unquestionable truth.I think they rely on bodily autonomy as an argument for its rhetorical value. They tell themselves: Nobody in their right mind would question people's right to complete and absolute control over their body! Anyone who did would look like a fascist. Except that exercises of bodily autonomy are routinely regulated for the good of the individual in question. Meaning that our society does not treat it as absolute. For instance: Using one's own stem-cells to treat oneself. If the government has the right to regulate and limit exercises of bodily autonomy for your own protection, then logically, the government has the right to do so for the protection of another. If the government has the right to tell a patient what he can or cannot do with his stem cells, the government has the right to tell a woman what she can or cannot do with her fetus.